Ageing homes and businesses are likely to have inefficient doors and windows that are responsible for high energy bills and drastic heat loss. Since being established in 1988, A Room With A View has taken great care in trying to maintain the character of our customers' properties, whilst using energy efficient materials. 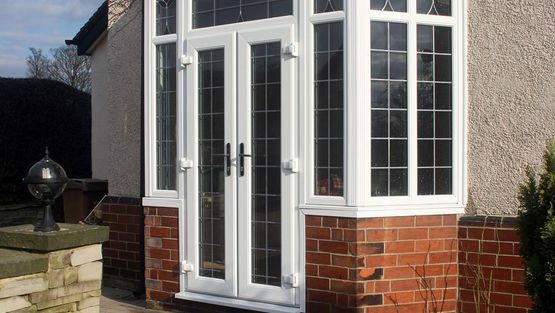 From carrying out an initial consultation and finding products to suit your budget to taking out the old doors and fitting their replacements, our skilled installation team do it all. To complement our double glazing and replacement window services, we supply and install high-quality doors in a variety of standard colours. You can also choose from a wide range of RAL colours at an additional cost. We offer durable PVCu, composite, thermally broken powder-coated aluminium and high-quality timber doors with a full factory finish of base coat, primer and top coat. All products are available in a wide range of standard colours and glazing options. Contact us now, in Dorking, Surrey, to find out more about our doors.